These two galleries are formal exhibition spaces on campus. A lottery system is used to determine who will use the space. Priority is given to Senior Porter College students. For non-Porter college students, you may team up with a Porter student to have a joint show to increase your chances of being selected. For more information, contact the Porter Student Activities Office, Porter Room D-143. Original student artwork may be displayed in the Dizikes cases, located in the hallway leading to the Cowell Dining Hall entrance. Contact the curator of the cases about a two-week showing via the Programs & Actitivies Office. 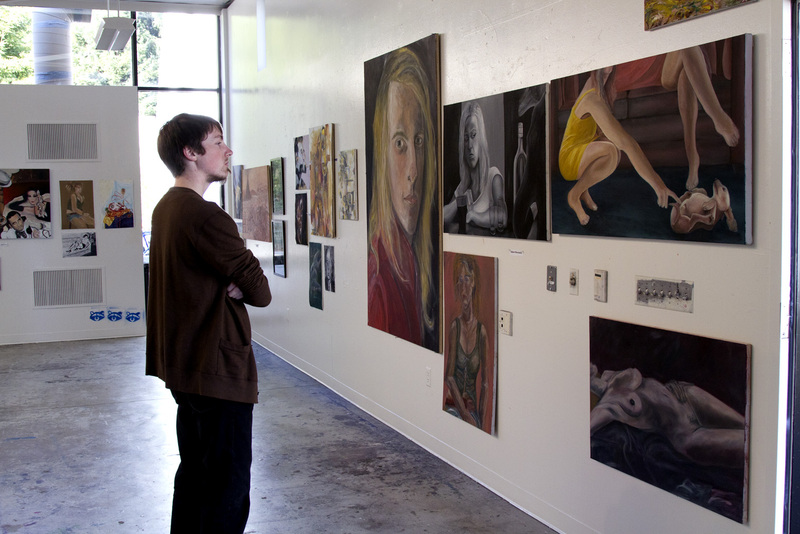 The Women's Center Gallery is available for student art shows. Show space is reserved on a first come, first serve basis. Call the Women’s Center for more information. The Cook House is at the base of campus in a building built in the late 1800’s. They have some wall space available for artwork. They are a public office and receive thousands of visitors each years, so can only display work that is not too controversial for the masses. Call the Cook House for more information. Contact the Facilities Manager for more information. The Arboretum has exhibit space and outdoor areas for exhibiting art. A proposal must be made to the Arboretum describing your event, what areas you hope to use, how many people you expect, etc. Contact the Arboretum for more information.